"If You Have a Peace Prize, Can You Be a War President?" 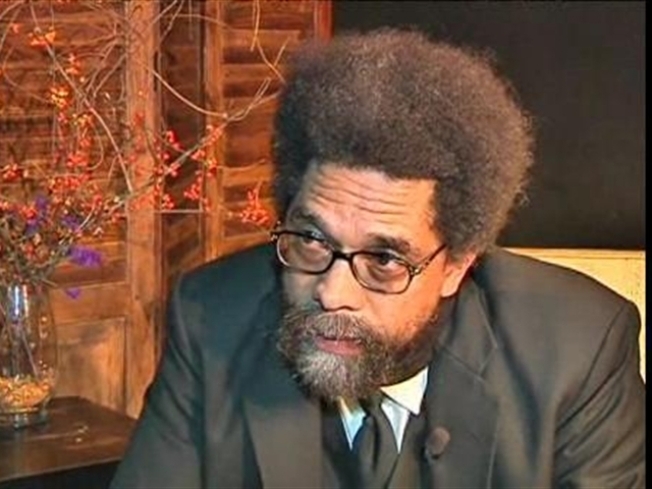 POTUS Getting Nobel Like Comparing "Curtis Mayfield to Pat Boone"
WASHINGTON -- Following a book signing Thursday night, renowned Princeton professor Dr. Cornel West offered some candid comments about himself and his thoughts on the current administration. Dr. Cornel West stopped by Busboys and Poets at 14th and W streets Thursday night to promote his new memoir, "Living and Loving Out Loud." He talked to the standing room only crowd for about 30 minutes, signed some copies of the book, then sat down with NBC4 for an exclusive one-on-one. West hopes his newest work helps readers better understand how the self-described "blues man" thinks the way he does and says the things he says. He starts from his childhood in Sacramento, where he was equal parts troubled and brilliant. He talks, at great length, about his love of sports, women and music. West also chronicles his ecumenical spirituality and his former obsession with death (he writes frequently about a "death shudder"). After he talked about his book, he talked politics. West was an early supporter of President Barack Obama but wonders how a "war president" can receive a peace prize. He also questions how an economic team with little to no record of helping poor Americans should suddenly be trusted to do just that. Oh yeah, we asked him about that legendary Don King-like hair (off-camera of course). He said since 1988 he's been so busy running that he hasn't had time to get a haircut.